Spectrum Healthcare is housed in a state of the art medical facility. We strive to make our lobbies comfortable, our exam rooms welcoming and the atmosphere warm. But when we talk about Spectrum Healthcare, we aren’t talking about a building–that’s just where we work. No, Spectrum is comprised of a team of compassionate medical professionals dedicated to YOUR well-being. You are why we do what we do. And when one of our team is recognized for his/her efforts, we couldn’t be prouder! 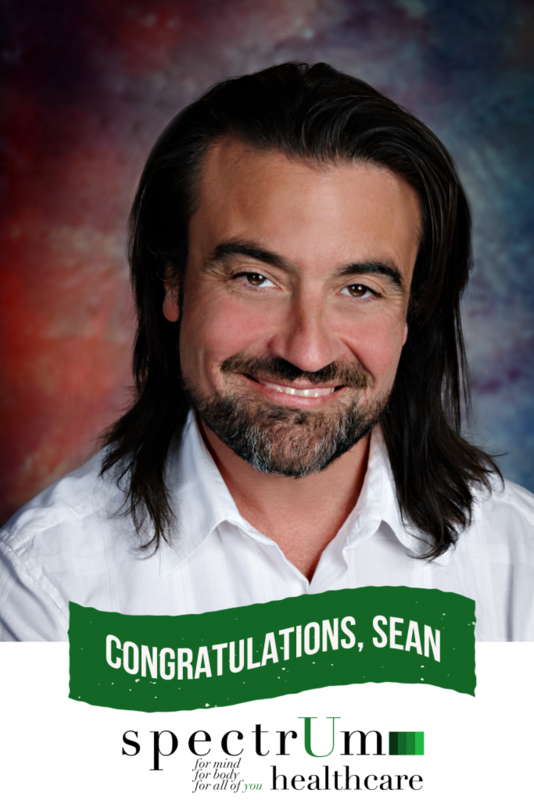 Join us in congratulating Sean Murray, FNP-BC for once again receiving double nominations as a result of his commitment to his patients. Thank you, Sean, for all you do! 2015 Nominee for Schwartz Center’s National Compassionate Caregiver of the Year award. Nominee for March of Dimes Arizona Nurse of the Year award, in the behavioral health category.